Questioning my Aches and Pains…is it the shoes or PsA? I was going through my Twitter feed this morning and stumbled accross the following article, which was posted by Justin Stone at Alwaysrunningforward.com. It was a well thought out piece IMHO and I have been critical of ambassadorships in the past (feeling that product promotion was just becoming too much and the honesty was just not there). Now as an BibRavePro ambassador, I am probably being a hypocrite somewhat but one thing does remain is certain about my views: you will get honesty and if I don’t like the product, then I will not “sell” you on said product so that you buy it! So I guess you could say that I am an ambassador in the right place with Bibrave because I love to run! 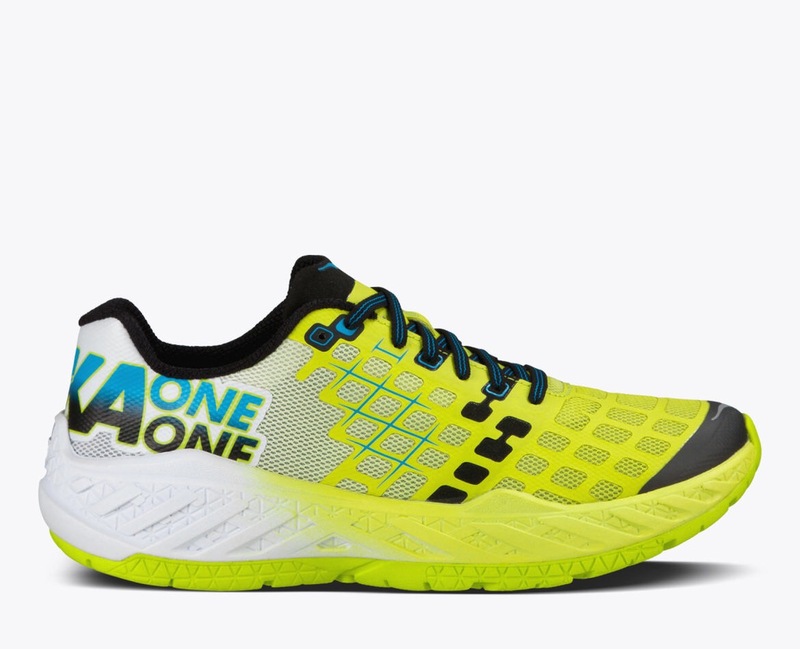 So with that said, my affinity for Hoka shoes is no secret (and I am not an am ambassador). I honestly feel they have changed my running life and personal health for the better. I have been wearing Clifton 2s since last September when I made the switch from Asics. This was not a performance call but rather for “health reasons.” I have Psoriatic Arthritis (PsA) and one of the issues that come from having such a disease is pain that builds up with workouts at the gym, on the trail or road as well as the soccer field (or any field really). The pounding of my old shoes created more pain for me with my knees and ankles aching and when I switched over to the Clifton’s, much of those pains disappeared. It was remarkable really and I swear by these shoes and will pledge my support for them from the highest of mountains! 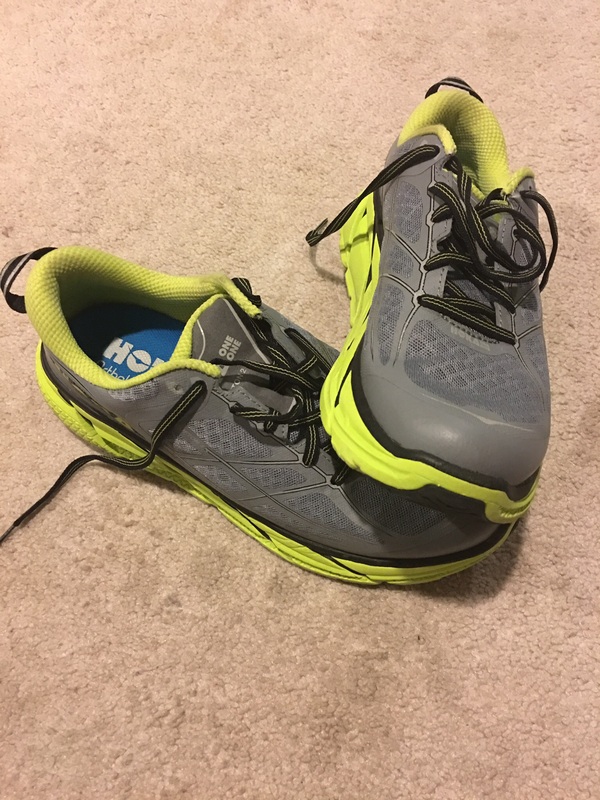 Recently, after doing some research on the Hoka Clayton’s, a brand new offering from the company, I purchased a pair from my local running company because they resembled a combination ofthe previous Asics I used to wear and the Clifton’s that I currently wear. After a few weeks in these new Clayton’s, I can say that I am a big fan! They are super light and allow me to runner “faster” when doing higher tempo or Fartlek training. They rock better than the Clifton’s but also have less support on the the bottom of the foot. Overall I feel they are a great addition to my closet and my running life! But something struck me this morning while trying to get loose for my morning run. My pain levels have risen since I dawned these shoes following my marathon race in mid May. Now I know what you are thinking: the race is what is causing the pain! Perhaps you are correct. I am unsure though because I wore the Clifton’s this morning and the pains all tapered away (and while I am a bit stiff at the moment, I am in much better shape than prerun). We will see how I feel in the morning tomorrow but right now I am hoping it is the race and not the shoe! Next Post NEW: 5 for Friday’s! Pingback: NEW: 5 for Friday’s!